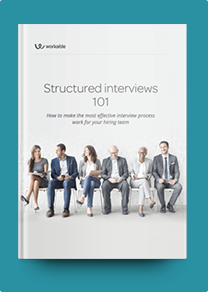 This Business Manager interview profile brings together a snapshot of what to look for in candidates with a balanced sample of suitable interview questions. Business Managers are employed by a wide range of industries. This job combines management, strategy, and operations. They are responsible for hiring, training, and managing a group of employees. They’re also responsible for ensuring that everyone has the tools and resources to succeed. At a high level, business owners typically entrust Business Managers with specific aspects of company expansion and market penetration. It’s worth noting that their mix of responsibilities may differ according to what field or industry they’re in. For example, a business manager in manufacturing may focus mainly on overseeing an entire production floor. In this situation, their role resembles that of a general or operations manager. A business manager in banking may have more sales or business development responsibilities, in addition to ensuring that their team adheres to federal regulations. If your Business Manager has responsibilities that are specific to a field (such as finance or data processing) or industry (such as law, music, or technology), be sure to add your own questions to the list below. Interpersonal skills are exceptionally important for any leadership position. Asking open-ended and situational questions will help you get a reliable glimpse of their leadership style, so you can hire the right Business Manager for your team. Describe a time you led by example. What’s your approach to delegating employees? How do you ensure that tasks are carried out to completion? Describe someone you coached or mentored. What were they doing initially, and what are they doing now? Talk about the time you led an important meeting. Talk about a successful work project involving multiple teams. What was your role in facilitating the project? What was the result? Have you ever had to execute a project with a small budget, or a lack of resources? How did you address these issues? Talk about a successful work project. What was your goal? What was the result? What changes did you make that resulted in increasing productivity, improving efficiency, or lowering costs? Walk us through a typical day at your last position. How do you prioritize your tasks? What are some industry trends that have an impact on your role as a manager? What did you learn about our company in your research? Why do you think you are a strong fit for this role?